Pine Gap and Menwith Hill are the two largest US intelligence stations on foreign soil, the jewels in the crown of the Five Eyes coalition of the United States and Britain (First Parties), and Australia, Canada and New Zealand (Second Parties). Despite this collaboration since 1947 and the more recently deployed fig-leaf term ‘joint facilities’, this transnational intelligence community is a US-auspiced, -constructed and -directed global hierarchy, closely integrated into US military operations worldwide, and an exemplar of US-led military globalisation. 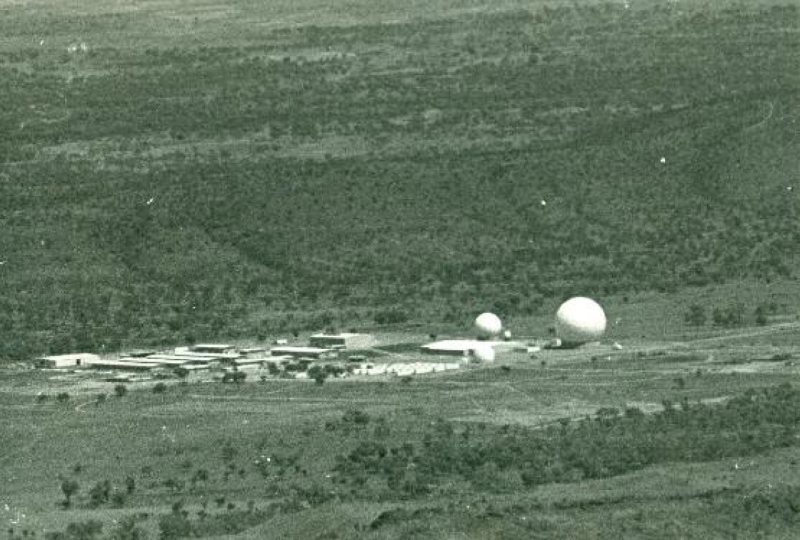 Like its English counterpart, Pine Gap, with its thirty-three antenna systems, epitomised by the white radomes protecting nineteen of them from both a harsh environment and prying eyes, is in fact vastly more than its antennas, or even the intelligence-collection activities of the satellites linked to those antennas. The antennas are the visible incarnations of a globe-encircling web of optical-fibre- and satellite-communication systems, in turn linked to a dense network of US military-intelligence processing, analysis and computing sites. We face difficulty in comprehending and representing the nature of the operations of even something as materially palpable as Pine Gap or Menwith Hill, given the density of their activities, the intensity of their computer processing and data exchange, and the multiple scales of their operations, ranging from deep space to geo-location with metre-level precision across half the world. Three artists—Kristian Laemmle-Ruff, Trevor Paglen and Felicity Ruby—present us with landscapes of Pine Gap and Menwith Hill, to inform and to disturb. Trevor Paglen is a geographer, artist and technical innovator in photography. His Menwith Hill series are interrupted English pastorals. 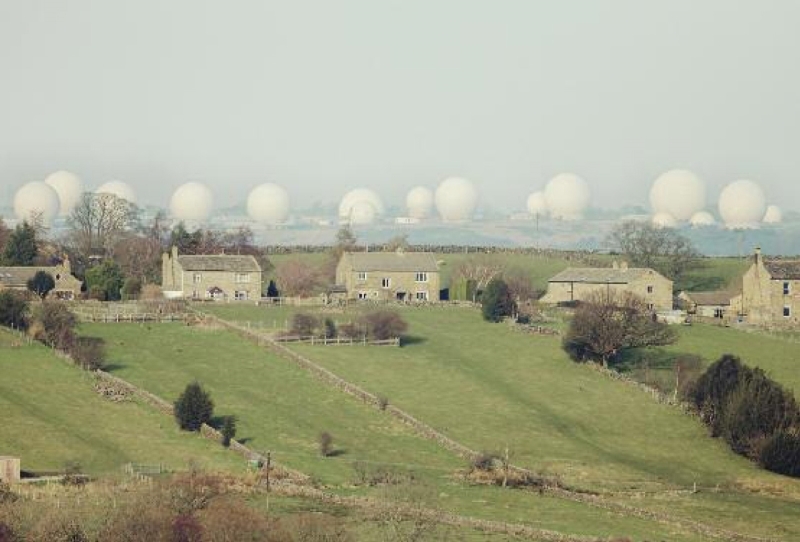 The benign familiarity (to an Australian colonial audience) of Yorkshire village houses is ambushed by a row of faintly visible radomes, alien in every sense. Felicity Ruby, an Australian researcher, has been documenting Five Eyes surveillance sites in numerous countries. Her photographs here are the fruit of doing the obvious with what is in plain sight: hiring a helicopter and (legally) circling outside the prohibited zone. Her landscape long shots contrast in colour and form to Paglen’s Yorkshire; they depict a differently beautiful but harder landform far less made over by human hand—until, in the far distance, Pine Gap can be seen, like an island translated from a strange land. 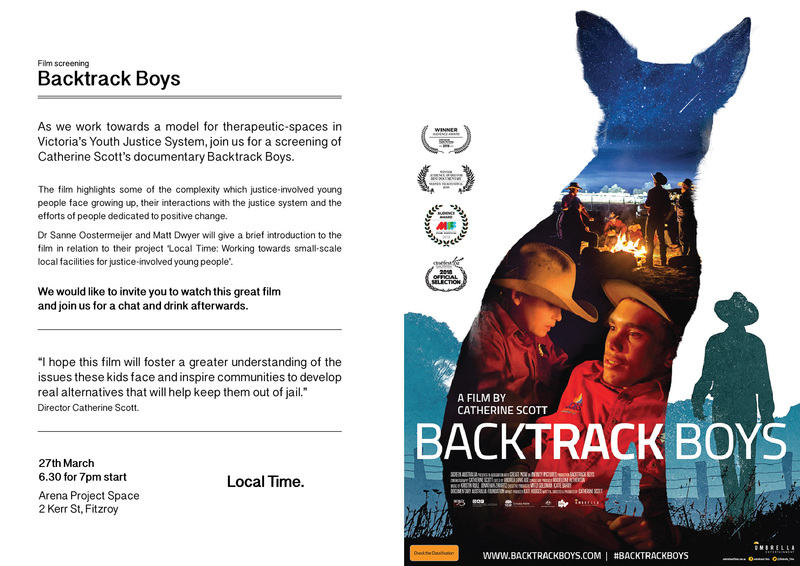 Kristian Laemmle-Ruff, a Melbourne artist, musician and photographer, set himself the task of finding a location never before used for surveilling Pine Gap, waiting for moonrise to pick his way through rocky hills as the beams of the patrol cars cut the night air. His goal was both art and information, taking photographs of unprecedented quality and precision of all parts of the base. Laemmle-Ruff’s pre-dawn panorama of the entire facility has a diabolical beauty, the foliage on the edge of the shot and the gentle hills of Kyunba behind the base enticing the viewer, until awareness of the unnaturalness of the scene returns. As massive and highly sophisticated military infrastructure, Pine Gap and its like challenge our normal notions of landscape photography, of the companionable and legible relation between material reality and its representation that photography appears to promise. There are multiple materialities involved, the most important either hidden within the facilities, illegible to non-specialists, or literally invisible. Geographers have been thinking a lot recently about both the US empire of bases and the elusive solution to analysing and representing a globally distributed, materially heterogenous landscape of digital technology, much of which exists in an invisible Hertzian landscape constituted by the electromagnetic spectrum operated through all-too-material antennas, advanced computing facilities, sensors, data banks, communications satellites and globe-spanning webs of dedicated optical fibre. These are depopulated landscapes, without images of people. The land was excised from public access for use by the foreign power long ago—1957 in the British case, and a decade later in the Australian. There was no thought in Canberra in 1965–66 of the Arrernte custodians, for whom the Kyunba land is deeply alive. They, along with government members of the Australian parliament, were long denied access to the sacred sites of Pine Gap (though not so visiting members of the US Congress). 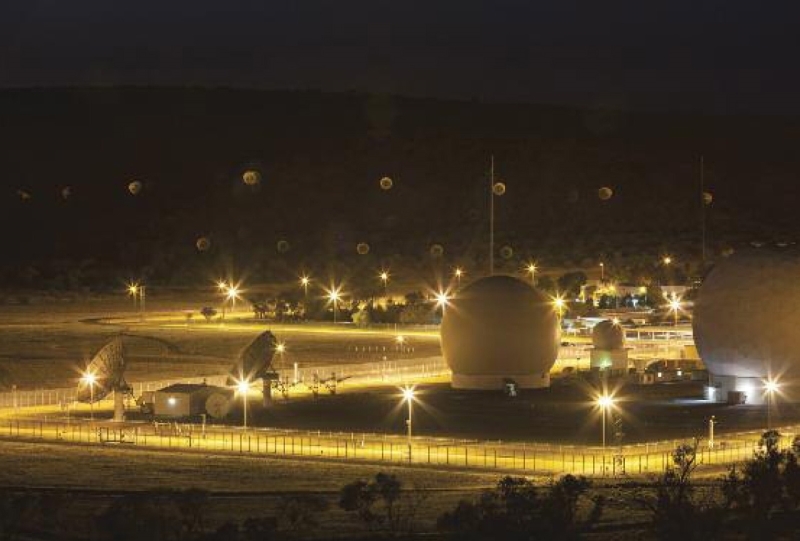 Pine Gap is an example of a high-technology, low-population-density ‘strategic island’ (albeit land bound in this case) within entangled strategic geographies and spatialities of imperial transnationalisms. Pine Gap is an island in other ways, with a measure of denationalisation accompanied by a reterritorialisation as part of a complicit node of empire. 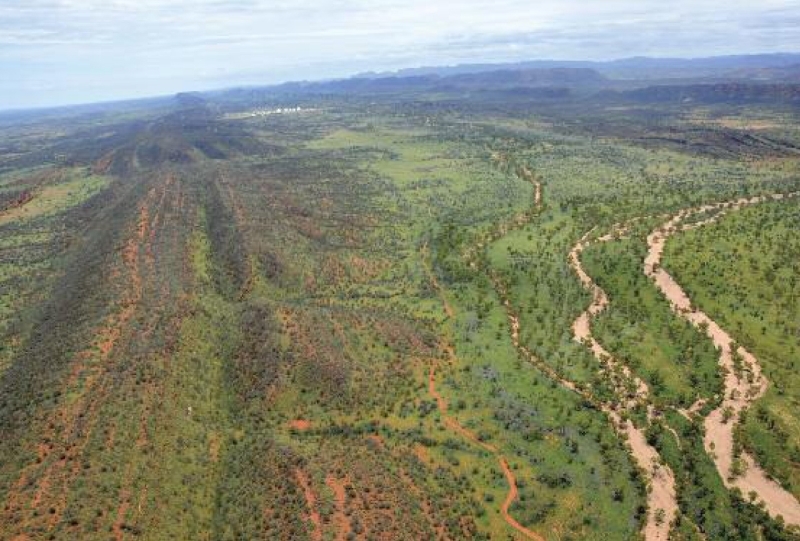 There is nothing comparable to Pine Gap’s combination of physical size, raw computing power, and level and depth of electronic integration into wider patterns of surveillance-information exchange, stored within a thousand kilometers of Alice Springs. And yet it is separated from the rest of the American military-base archipelago not by space but only by the passage of the speed of light carrying bits of information down the optical-fibre threads of what the US military is pleased to call the Global Information Grid. Further images of Pine Gap by Kristian Laemmle-Ruff and Felicity Ruby are available at <http://nautilus.org/briefing-books/australian-defence-facilities/pine-gap/the-pine-gap-project/>. 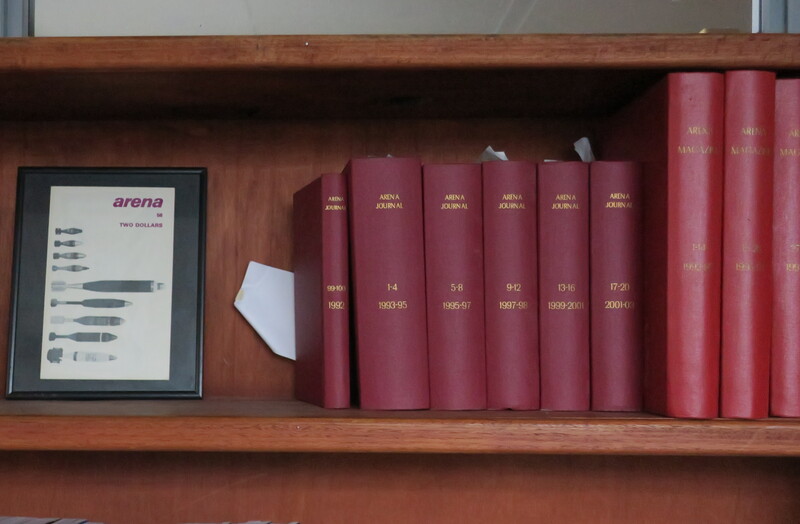 An identification chart of Pine Gap antennas is available in Desmond Ball, Bill Robinson and Richard Tanter, The Antennas of Pine Gap, Nautilus Institute, Special Reports, 22 February 2016.